Ford Cortina information & collectibles, from The World of Cortina. 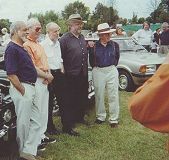 This web site and The World of Cortina web site is the brain child of "The Cortina Ambassador" Simon Jones from Bedfordshire, UK, who not only collects all manner of Cortina memorabilia and retro items but also owns 11 Ford Cortina motor cars. Included in the following pages are a selection of photographs of the car together with snippets of information on Ford Cortina models and kits, brochures, road tests, cigarette cards and associated collectibles. Simon has completed a UK charity drive from Lands End to John O'Groats in a Mark3 Cortina and travelled extensively through Europe and Italy in search of material for this web site. His current search strategy also includes the use of all Internet resources to satisfy his drive for more information and collectible memorabilia. 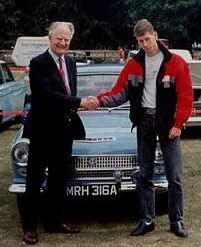 His ambition in life is now coming to fruition by the set-up of The World of Cortina web site and database to catalogue and preserve the history of the Ford Cortina in detail.